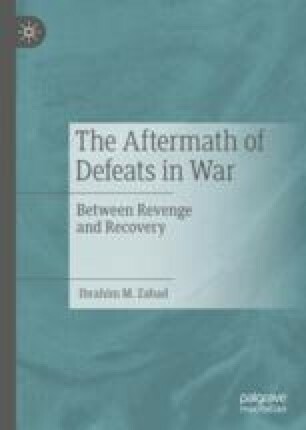 This chapter shows how the Ottoman Empire/Turkey turned defeat into an opportunity for political reforms and regeneration. That a moderate, republican, state-based nationalism and pacific, status quo foreign policy, and a domestic political landscape devoid of violent and revisionist movements followed defeat after WWI was neither predictable nor easy. The defining feature of the Turkish reaction to defeat was acceptance of the new realities of power, of the impossibility of retrieving an irretrievable past. The Turks simply resigned themselves to the consequences of defeat. Instead of utilizing defeat as an instrument to mobilize the masses for the healing of wounded pride, Turkish leaders perceived it as an opportunity for national regeneration and internal reconstruction. No conspiracy theories were advanced. No stories of backstabbing or betrayal were told. None thought that defeat was caused by misfortune, malice of neighboring states, or the ill-will of the victorious powers. No radical mass movements emerged. Rebellions were few and inconsequential. Reaction to defeat and loss was almost exclusively inward-oriented.